Manufacturing equipment is built to last. Many factory floors include machines that were installed decades ago, which have now become the backbone of the plant. But, is this old equipment hindering the ability to compete in Industry 4.0? Jonathan Wilkins, director of parts supplier, EU Automation explains the role of legacy equipment in the smart factory. 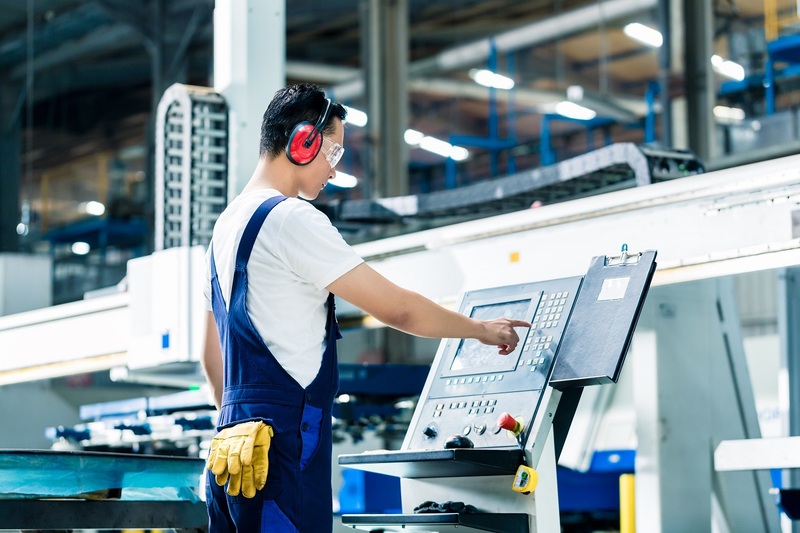 As factories become more modernized and interconnected than ever before, long standing legacy equipment can be overshadowed by new, high tech machines. These future-facing industrial assets are usually readily accessible to the Industrial Internet of Things (IIoT) — a new technology paradigm that is helping manufacturers improve competitiveness, increase profitability and reduce downtime through interconnectivity and data collection. Overhauling old systems for modern alternatives may seem idyllic, but this would be far too costly and unfeasible for most businesses in the US. Additionally, when you consider the huge number of time required to source new parts, uninstall current equipment and re-train employees, the time investment alone is enough to put businesses off the rip-and-replace approach. This begs the question — how does legacy equipment fit into Industry 4.0? Put simply, to leverage the benefits of new technology, factories must have an IIoT ecosystem that integrates with legacy assets. By retrofitting legacy equipment, the health of assets can be tracked accurately, allowing predictive maintenance schedules to be put in place. The problem doesn’t lie with the age of existing equipment, but the skills of workers. Many of the experts in running and maintaining legacy equipment are retiring, leaving younger workers to face the challenge of working with both old and new technology. But this, in itself, isn’t enough reason to get rid of old parts if they are working optimally. Even broken obsolete parts can be replaced with the help of the right obsolete parts supplier. Ironically, new technology is helping older equipment by extending its lifespan through retrofit sensors and condition monitoring. This software means the health of assets can be tracked accurately, allowing predictive maintenance schedules to be put in place. 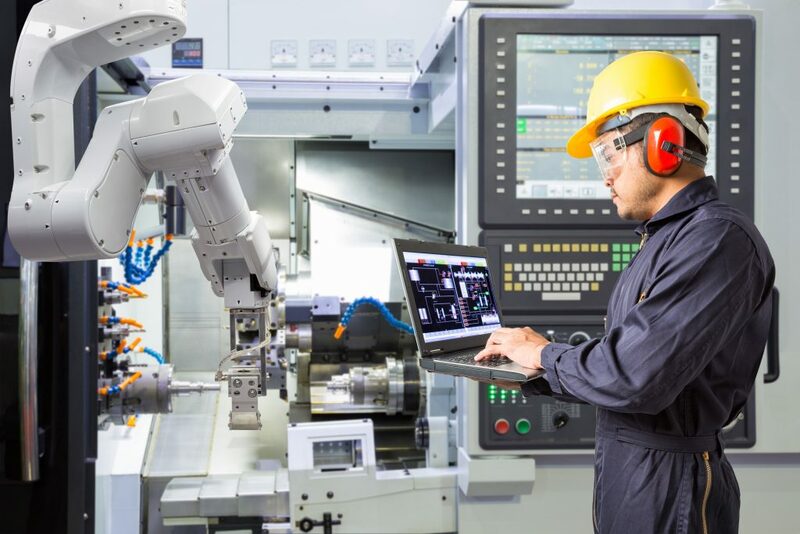 Connecting legacy machines to the IIoT is challenging, but not impossible. Retrofit, or ‘wrap-and-extend’ solutions involve using third party, IoT-ready products such as IoT gateways, OPC servers and sensors. This out-of-the-box connectivity can be installed with no interruption to uptime. This approach can be entirely tailored to the business’s needs, meaning only useful sensors are put in place. Compare this with buying brand new equipment, which would include hundreds of inbuild sensors that aren’t all necessary. These retrofit sensors can track parameters such as temperature and vibration, to provide valuable insight, with the help of software, into the current condition and the future condition of a part. For example, a higher temperature could provide engineers with an advanced warning of lubrication breakdown. Similarly, by monitoring the vibration spectrum for change, it is possible to discover and monitor signs of wear, by comparing to baseline values. A trained vibration analyst can detect the presence of a bearing defect, a broken impeller blade and much more. Monitoring the vibration spectrum for change, it is possible to discover and monitor signs of wear. By sending this data to the cloud, it can join the other IIoT data generated by the internal sensors of new machines. Software can then parse this collection of data, with little discrimination regarding whether this data came from a new or old part. Most factories will take a phased approach to implementing this third-party technology. We’ll see businesses reap the benefits of tackling problematic legacy equipment first, and with this success, retrofit condition monitoring programs can then be rolled out to other legacy equipment progressively over time. After tackling the troubled assets, high-value, critical and hard-to-reach legacy assets can then benefit from retrofit condition monitoring too. Many legacy machines have been built to last, and this is definitely a positive. It’s great that businesses have the option to keep this equipment around, rather than be forced to pay for costly rip and replace schemes to overhaul run down systems. New technology means the lifespan of this legacy equipment can be elongated even further through preventative maintenance. The message is clear — don’t exclude your legacy equipment from your IIoT infrastructure. EU Automation stocks and sells new, used, refurbished and obsolete industrial automation spares. Its global network of preferred partner warehouses, and wholly owned distribution centers, enables it to offer a unique service within the automation industry, spanning the entire globe. It provides worldwide express delivery on all products meaning it can supply any part, to any destination, at very short notice. For further information, visit www.euautomation.com, contact jonathan.wilkins@euautomation.com or connect on twitter or linkedin. Next articleIs Your Focus On You, Or Your Customers? Established in 1986, IMD is a monthly publication that serves the owners and managers of America’s most diversified job shops, machine shops, OEM / MRO, contract manufacturers and production line manufacturing. This dedicated metalworking audience is the driving force behind U.S. manufacturing. Our readership is audited by EDA (Equipment Data Associates). EDA is audited by (Verified Publication Audit). What is the Heat-Affected Zone? Industrial Machinery Digest (IMD) is the Industry’s Most Extensive Industrial Publication since 1986. IMD is a monthly Industrial Machinery metalworking & fabricating publication that serves the owners and managers of today's diversified Job Shops, Machine Shops, Contract Manufacturer and production line manufacturing. In addition to our monthly issues, we have IMD Quarterly Digital issues with a focus on new product information, and case studies, white papers application articles for the metal manufacturer. Serving the manufacturing industry over a quarter-of-a-century. © 2018 Industrial Machinery Digest.